View all 127 products in this collection. 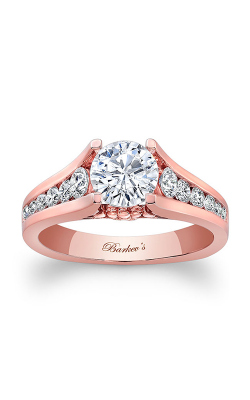 Since 1981, Barkev's have been the creators of an amazing selection of engagement rings, wedding bands, and diamond jewelry items of high-quality handmade brilliance and beauty. Built entirely in Los Angeles, Barkev's is world-renowned for their elegant styles and tireless attention-to-detail, as well as for their expertise in working with uniquely-colored diamonds and gemstones of all shapes and sizes. Available only at authorized retailers such as BENARI JEWELERS, the engagement rings, wedding bands, and diamond-covered wedding sets of Barkev's are a delightful and glamourous way to show that special someone how much you truly care and adore them. With two showrooms in Exton and Newtown Square, Pennsylvania, the bridal jewelry experts are certain that the engagement ring or wedding band of your bride-to-be's dreams is just waiting today at BENARI JEWELERS. An official Barkev's retailer, customers to BENARI JEWELERS can rest easy knowing that every piece is sure to be absolutely genuine, authentic, and carefully picked for maximum bridal beauty. 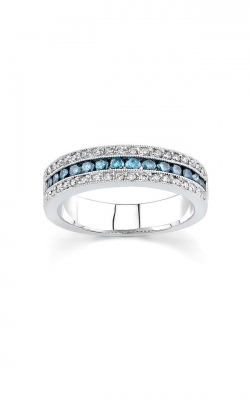 For example, available now is an exquisite selection of women's wedding bands, as well as diamond bridal jewelry sets, made with 14-karat white gold, rose gold, and yellow gold, adorned with extraordinary white, black, and blue diamonds. In addition to this stunning bridal jewelry selection, BENARI JEWELERS is proud to present an exclusive selection of designer-made engagement rings by Barkev's. 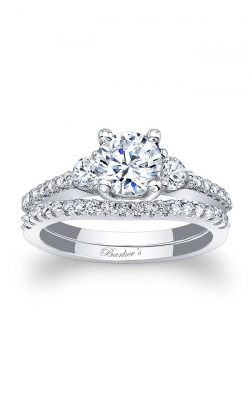 Always on-trend and never boring, the engagement rings of Barkev's can be found today at BENARI JEWELERS in a range of halo, sidestone, solitaire, and three stone fashions, each more exquisite than the last. Featuring distinctive center stone settings, interesting multi-band designs, and generous use of exceptionally-colored diamonds, the Barkev's engagement ring collection at BENARI JEWELERS are guaranteed to enchant and satisfy and bride-to-be-for a lifetime. For decades, BENARI JEWELERS has made it their mission to bring their Delaware Valley and Philadelphia area customers the very best from the world of bridal jewelry, fine jewelry, timepieces, and GIA-certified loose diamonds. Located in Exton and Newtown Square, Pennsylvania, the friendly staff at BENARI JEWELERS is proud to offer an authorized selection of designer collections from not only Barkev's, but also from leading brands such as Tacori, A. Jaffe, ArtCarved, Hearts on Fire, Mikimoto, Breitling, and others. Also, to ensure more than a lifetime of satisfaction in every purchase, BENARI JEWELERS also extends in-house repair and customization services, as well as quick and accurate gold, diamond, and watch buying facilities.